In our last blog we talked about Basel III and the need for better risk identification and quantification by international financial institutions. Today, we’re going to continue with this theme and look at the cyclical process that the financial markets follow, that leads to periodic financial crises. Basel III can hopefully reduce the damage and duration of the next collapse, but history tells us that collapses will happen regardless of efforts to prevent them. This blog will help the PMO and project managers recognize the elements of each coming financial collapse and plan projects that support new regulations and mitigate damage. We’re at the start of a new cycle, so there is much for us to learn. Let’s get started! Reduced risk: Either that expert, or an expert in some other field, comes up with a new idea. This idea will neutralize some or all of the risk. At least under very specific conditions. It could be that the method of measuring risk has remained unchanged in a long time, but the risk factors changed. Inside of a very large market there may be “outliers” that don’t match the profile of the rest of the market, and can be excluded or repackaged. New technology might even allow you to do something that could not be done before. Improved value: If your solution can reduce risk, and if the world accepts your solution, then your “new and improved” financial instrument is worth more than the previous value of the underlying assets. Without a free market to determine the “real” value, who determines the price of this product? Lacking a market price to determine the valuation, the value is determined (or overly influenced) by the manager of the product/fund, rather than by an impartial outside force. When pricing is set by individuals with a strong interest in the value going up, products tend to be overpriced, and the risks under-reported. Demand & overuse: If the new product survives for a reasonable amount of time, and outperforms more established products, new investors will want to participate. The original firm may expand a fund and/or create new funds that use this product. Other firms may try to “clone” the product or fund. However, niche products are by definition small market products. How do you take a product worth tens or hundreds of millions of dollars, and satisfy a market clamoring for tens of billions of dollars (or even more) of the product? Apparently, you can’t. When demand exceeds the total supply, you debase your product with similar, but inferior assets. By defining something else (hopefully something similar) as “the same” in order to purchase more assets, new (and often undisclosed) risk begins to weigh down the product. Contamination: Some event occurs that causes doubt. The original fund starts to fall. But that’s OK, this was just a niche product right? No! Because it was redefined to fit demand, it now represents a vast amount of money. Still, if the product was called an “ABC Derivative,” you just need to avoid all “ABC Derivative” funds, or funds that act like it. But wait! Who has been buying these funds? The unfortunate answer is… other funds! While you may be too risk averse to ever invest in this questionable security, “safe” funds that you do invest in have purchased this fund to boost this year’s lackluster performance. Now, investors panic because no one knows exactly which funds have direct or indirect investments in this “contaminated” asset. That’s a long chain of pretty unlikely events… isn’t it? Unfortunately, history tells us that this chain of events is not just likely, it may well be inevitable. Let’s look at the last few big crises and see how they follow this pattern. (1990) Junk Bonds – Drexal Burnham Lambert: Bonds are promissory notes to pay back your investment in 5, 10, etc. years; until then, you collect a set interest payment. The greater the risk the firms, the higher the interest rate. If an event occurs that increases risk (for ex. : bankruptcy or rumors of financial problems), investors may sell of their bonds at below the face value. When a bond sells well below the face value, it is called a “junk bond.” While junk bonds have been around forever, Michael Milken (a Drexel executive) legitimized the widespread use of junk bonds. His theory was that the Federal Government would not let very large firms collapse, because of the potential damage to the economy. Milken gained a golden touch when Ronald Regan’s administration guaranteed loans to bankrupt Chrysler. Milken approved bonds were bought at pennies on the dollar, but valued at or near face value. When you can almost print money by assembling a new junk bond fund, demand can (and did) explode. Demand for Milken approved junk bonds far exceeded the number of “too big to fail” companies that had “junk” rated bonds. So, the definitions changed, the level of risk rose and the funds got bigger. Drexel not only bought bonds that were once good but dropped in value, they also produced new bonds that were “junk” from day one. Drexel fueled the “greenmail” market by providing cheap financing for corporate raiders, but also provided a “safe” yet profitable boost to pension funds, mutual funds and all sorts of mainstream financial instruments. At the close of the 80’s, the junk market faltered and then fell. Junk funds collapsed. Investors feared these funds, and then learned that they had contaminated the larger market, spreading panic and damage. Investigations were conducted, legal violations were found, Milken and others were indicted, and Drexel was shut down. (1998) Derivatives – LTCM: Risk is the heart and soul of Wall Street. It determines how much interest you get on a bond and most other financial instruments. For decades, Wall Street looked for ways to limit risk and expand the number of investors. The Black-Sholes model was a financial model for creating a type of financial instrument known as an option (the right to a financial transaction, at some time in the future), and then adding other very specific assets to the fund that move in the opposite direction. By making a perfect combination of options and “hedging” assets, you have a “derivative” that produces a profit. While this model produced a consistent profit, it was not a large profit. But that could be dealt with by using leverage (borrowing money to buy more assets and multiply profits). The Vice-Chairman of Solomon Brothers, John Meriwether, left Solomon and build the world’s largest derivative fund, in partnership with Nobel prize-winning economists Fischer Black and Myron Scholes. This powerhouse team guaranteed world-wide acceptance, and derivatives became a growing part of the mainstream world of finance. However, greater acceptance meant a bigger fund and still greater leverage, as new assets tended to produce lower returns than the last assets you purchased. Leverage increased from 2:1 to 10:1 to 100: 1 to 1,000:1 and beyond. A supercomputer was purchased to keep up with the speed of trading. According to Wikipedia, in 1998 the fund was nominally worth $4.7 billion, a fairly staggering amount in itself. But total borrowing for “leverage” was $124 billion. Even worse, the borrowed money paid for derivatives that were in themselves leveraged. In reality, the fund controlled $1.25 trillion in assets around the world. Because of the complexity of this fund, few investors seemed to be aware of this risk. Fewer still understood that the Black-Scholes model had an Achilles heel. The model didn’t work reliably during a financial crisis. In 1997 there was a financial crisis in Indonesia, which began to spread to other areas of Asia and in 1998 the Russian economy had a crisis. LTCM was heavily invested in both markets, and crashed. The world bank and other financial institutions work behind the scenes to defuse the now worthless assets to reduce the size of the financial crash. LTCM was closed. (2008) Subprime – Bear Stearns: Collateralized Debt Obligations (CDOs) are another type of derivative. Here various loans and mortgages are put into a common bucket. As the loans are paid, revenue flows out of the bucket through multiple “spigots”. You can choose which spigot is right for you: very senior, senior, junior, etc. Each spigot has different rules, rates and priority. The most senior position will receive a lower percentage (for lower risk), but has the first turn at the spigot. And so on down the line. The most junior receives a higher percentage (higher risk), but only gets his chance at the spigot after everyone else. If things have not gone well that month, there may be little or nothing left. CDO fund managers believed that this risk adjustment mechanism made their assets more valuable. Buyers agreed, and the number of CDO funds grew. Bear Stearns jumped into CDO’s with both feet. They build two large funds that blended subprime mortgages (think of them as “junk” mortgages) with other assets. They provided good returns, but then subprime began to appear on the nightly news in connection with financial failure. At first subprime and CDO’s were spoken of separately, but then panic spread as investors learned that subprime had spread and contaminated other assets (funds containing subprime, or funds that contained other contaminated funds). Indictments for the fund managers soon arrived from the Security and Exchange Commission. Interestingly, while the funds stated that subprime holdings were to be no more than 6-8% of assets, in reality it was nearer to 60%. Once again, undisclosed debt increased the damage. The funds were closed, and in a matter of days Bear Stearns was closed and sold off to JPMC. This cycle of exuberance and collapse repeats about every 10 years. In retrospect, it all seems so obvious and so avoidable. And yet it will probably happen again. There is an emotional element to Wall Street that mere rules and numbers fail to capture. Fund managers, and it would seem regulators, get carried away by the sheer magnitude of success, and questionable ideas are allowed to grow into economy crushing juggernauts. Caught up in the moment, governance is relaxed and otherwise highly respected individuals slide into illegal activities. But what can you, the humble project manager, do? The PMO office of a financial firm cannot on its own stop these periodic collapses, but you can take steps to limit the damage. Basel III is a new framework for managing risk, and is in the early live testing phase. Other risk management guidelines are appearing as well. 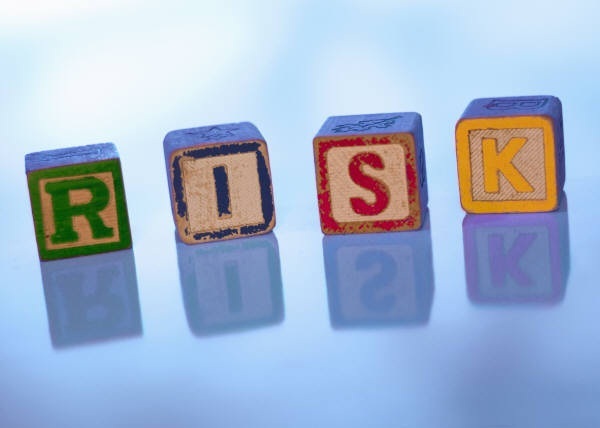 Do you see Basel III or other risk related projects in your 2012 project portfolio? Look for them, and prepare your project managers so that they can effectively participate in these projects. Ask department managers if they have planned any risk-management projects in 2012. Look for new groups that have joined your firm, or highly publicized new hires. New high level hires and new departments often means new types of functions whose risk may not be well understood. It also mean new managers who may not know the firm has a PMO office, or how you can help them. Go out and look around. You might just do some networking and find a few new projects, or you might help protect your firm against the next big collapse! At least that’s my Niccolls worth for today! This entry was posted in Best Practices, Decision Making, Project Management Office and tagged Basel III, Derivatives, PMO, Project Management, Projects, Risk. Bookmark the permalink. Wasn’t it LTCM (not LTMC)? Long Term Capital Management. Best wishes, Bill. Right you are; my typo!